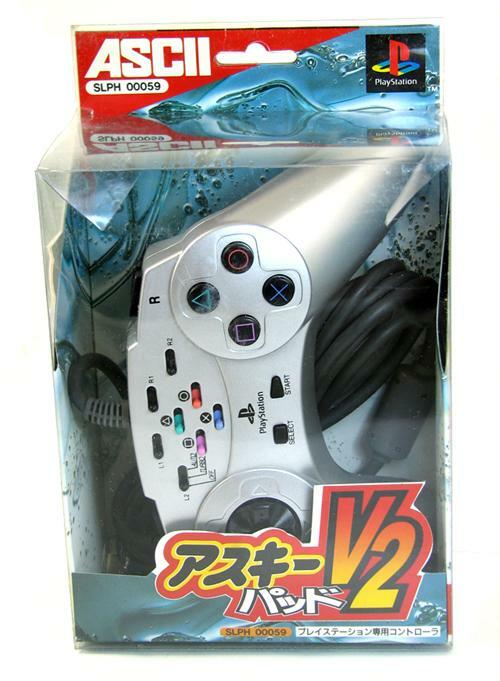 «©NCSX» New and factory boxed ASCII Pad V2 Silver Controller which NCS originally imported for the original Playstation over eleven years ago. The ASCII Pad V2 features turbo-fire toggle switches located on the top center of the pad, an Auto-Fire option, and a design that apes Sony’s original Dual Shock design. The control pad is a solid disc with raised directional ridges which we prefer over the Dual Shock's “rift-pad” design. Sale Offering: Pricing is set at US$19.90 per pad. If you reside in the USA, you may select USPS Media Mail shipping on our shop which is about $2.50. International customers are encouraged to select USPS First Class Airmail at a cost of approximately US$10 to most destinations.